Although not what I wanted to be doing, it seems once again some script kiddy wannabe hackers have sucked up all my bandwidth. This time they are not just hotlinkers, this time they seem to be targeting a particular file and standard used by WordPress and other software, either they are trying to guess my password or they just wanted to see if they could bring down my blog/website by brute force. I eventually documented a lot of the difficulties I’ve had keeping the blog running for over a decade. They succeeded temporarily and of course it was a potentially annoying or embarrassing time for it to happen but my webhost just put my website back online and now with the end of the month I have a full bandwidth quota again, but I certainly have not gotten popular, I rarely even post anymore because I’m trying to focus and I’ve already said too much that has gone unread and unheeded. I switched to running the latest greatest version of WordPress and of course some more plugins or changes to httaccess should to solve my script kiddy problems. However there are a few other issues I need to fix and minor improvements I wanted to make so now that my website is back up and almost all my blog’s plugins are running again, I’ll probably tweak the theme and sidebar. Too many plugins running in the sidebar just slows down performance Twitter and Klout both seem slow, I was thinking of adding a plugin for Flickr and Instagram too. Too often people don’t consider performance on older computers with bad internet connections in the web design community. The biggest change I plan to make will only be visible to users of smartphones and some tablets. When Mobilegeddon came I tried to satisfy Googlebot quickly with one or two lines of code in the header, but the latest version of Safari on my iPhone renders my blog horribly so I will be switching to WPtouch. I’m not sure if I’ll go full on “pro” paid plugin just yet, I still haven’t paid for Yoast’s premium plugin but I do follow much of his SEO advice, I always seem to just miss out on opportunities to be popular or more successful, hopefully that finally changes and I’m in the right place at the right time for once. I’ve also decided to retire Mint, I had removed it from my blog previously, but honestly I haven’t been looking at it or even my Google Analytics dashboard much, I’m just not trying very hard to be popular and I’m more concerned with personal branding in search results than vanity statistics, but every now and then I check out my Klout score. It seems I have long had a problem with spammers trying to “subscribe” to my blog, I thought I had a plugin fighting it but obviously not very effectively so now I must get rid of 24000 spam subscribers and I’ve disabled the option to even register at this level. Disqus should be handling all my real commenters of which there are very very few, I’ve never had an email list but it used to be possible to get new posts via email instead of just RSS which might be a legitimate use of that level of WordPress user, but now I just want to clean up my database it is too full of old garbage data, so I went looking for advice. I might reinstall JetPack as with it I can perhaps add this blog to my Klout score, of course no one cares so much about Klout these days and their widget doesn’t even seem to work reliably, I think I may have a valid API key for their service I might just see what I can code up, my efforts to improve this blog continue to be stymied another plugin seems to have let me down but honestly I can write the SQL myself. I did manage to get support so all my subscribers got purged. Of course Klout is no more so all my and other people’s efforts to increase our score was ultimately futile though some people got rewarded. I am long overdue for an increase in my profile. I may have to try some more plugins to fight off the bad guys, I still have plans to revise my sidebar yet again, I’m not sure if it is optimization, vanity, or just experimentation. The Twitter widget does not scale on smaller screens and the bigger thumbnails are also a problem floated right on a small mobile screen. It is definitely easy to write a list of plugins and techniques to try, but I need to be studying, I even bought an iPad for my electronic CFA® textbooks. This also allowed me to see how my webpage and blog rendered on a tablet. I reinstalled JetPack primarily to see if it will help my Klout score to have this blog included after finally learning how this could be done. I think JetPack has way too many features, features I’d already added to my website by other plugins or custom code. I can see how it benefits people who are brand new to WordPress but I definitely prefer Google Analytics over most other analytics options. JetPack has too many options and I ultimately removed it from my blog though I still use Akismet to fight spam. I also added back Last.fm Records but to get it to work I had to reorder the plugins in my sidebar, some plugins don’t get along with other plugins which is I guess why some like JetPack, but if you really want a unique blog you need to implement features that others haven’t been able to get working. This is why I don’t upgrade WordPress very often there is a bug in Last.fm Records’ plugin code and has been for a couple months, but I didn’t notice it first there already is a support thread about it. A slider was enabled by default in WPTouch but to leverage it maximally you need to find out the Post ID of your greatest posts, the ones you want to feature, the ones Yoast would call “cornerstone content”. The slider also leverages my now larger thumbnails but it doesn’t list the posts in the order I entered them into the comma separated list it lists them in the order they were published. WPTouch defaults to showing your most recent posts in the slider which I don’t think is optimal. Many people are against sliders but they are popular with marketers and web designers as they allow more content to appear above the fold. The other thing I had to do was create a custom menu for my mobile theme, I just used all my categories, which I had to put in alphabetical order manually and then I added a link to my about page which is hand-coded HTML so I tweaked it and my hand-coded homepage to make them a little easier to read and use on a mobile device, but honestly WPTouch is so much better for my iPhone 5 SE which by no means is a cheap or old phone. I’d previously increased my default font size, but one thing I’ve noticed looking at my webpage last night on my iPhone was the link text. If the link text is too long or is too close to another link it is hard to click. I’m now trying to be disciplined and include only one link per paragraph. A list of links at the end of an article has long been a staple of online publishing and one of the many tweaks I made this week was adding 3 pixels of space more between each item in these lists. Little usability tweaks like this can go unnoticed but if they improve stickiness then are worthwhile. One thing that really pleased me about WPTouch’s default theme was how well it handled the bottom of individual posts, I don’t know if it is because YARPP and Disqus are two very popular plugins but the navigation and recommendation and even the commenting form seem pretty good, this was an area I put a lot of work into, when I redid my taxonomy and retroactively added featured images to almost one thousand posts. I made these changes with an eye towards getting really good recommended posts. I don’t know how often real people use it but I personally always checkout which posts are recommended on my blog and also some other blogs I follow. Changing the tags, categories, featured image, and content can definitely affect the recommendation algorithm, sometimes even I forget about a blog post I’ve written over the last decade. I was still using Professional Share to handle my social sharing primarily because it is tracked well in Google Analytics. But in 2019 I removed all these social sharing buttons because they do not work in China and they slow page load times. I am once again doing a massive revision to my website and blog including the content and links to try and improve how it looks in search engines. I also would not complain if certain posts ranked better for certain keywords. To that end I installed the free version of Yoast’s SEO plugin finally. I spent way too much time on this blog post and improving mostly cosmetic issues on my blog. The malicious login and possible denial of service attack attempts were real, but if my blog and more importantly webmail hadn’t have gone down right when I wanted to send an important email after a job interview, I likely would not have had the impetus to finally install WPTouch and tweak my sidebar and theme more. I am definitely looking for a better job, so if any of these changes improve my search engine rankings and result in more traffic to my resume that is of course a big win, but honestly if the company I had interviewed for last had gotten back to me by the end of the week, I’d of course had said “Yes” now I must workout, study, and of course follow up to see if after six hours of job interviews I was finally able to land a better job. Instagram may be more viral, but does not always do the best job of protecting photo copyrights, most professional photographers who use it likely use a third app to watermark their images. Flickr again can be used to restrict who can see and use your photos which is a nice feature but may not maximize your virility. Flickr images can also be indexed by search engines either directly or through a third website even through your own blog. Twitter is also good for rapidly sharing an image, if you upload it directly into Twitter. Flickr supports Twitter Cards but of course Instagram ceased supporting them after they were bought by Facebook. 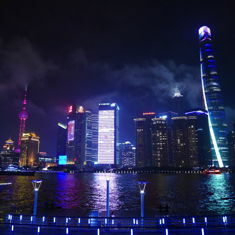 I’m still not sure if either image sharing service is going to make it into my sidebar, even Twitter seems too slow using a VPN from inside China. 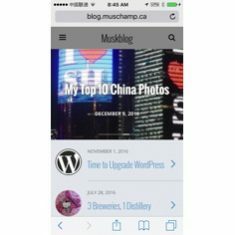 I still host images including pretty much all the images in this post on Muschamp.ca because I’ve found for SEO and for driving traffic from Pinterest in particular it helps to host at least some of your images on the same domain as your actual content. It seems there is an issue with Professional Share or perhaps with the metadata in my blogs header, as my attempt to share using the official Facebook share button just now seems to have failed, I was able to Tweet this post using WPTouch and my iPhone. And it seems I have found an issue with YARPP which was already documented. This rendering issue does not happen every time. Being behind the Great Firewall makes debugging social media stuff extra hard. I tried to add to the support thread but it seems my posts have disappeared or not appeared. Maybe WordPress.org has noticed I’ve left a bunch of support thread comments in the last 48 hours. This is why I rarely upgrade my WordPress it always is more work than it should be. I tried to rollback YARPP but the version I have on my laptop is very old, so now I wait for support for yet another plugin. You can see the appeal of pro plugins alas just because you pay for support doesn’t mean your problem actually gets solved. I got another mystery Chinese comment not left using Disqus, I deleted all the subscriber accounts, this must be a bug in the Disqus plugin itself, it never happened until after I upgraded, either that or it is an exploit that was added to WordPress itself, anyone seen this before? I’m not sure what to do about Professional Share I could duplicate some if not all that functionality in my theme, or switch to Shareaholic but then again maybe not. There is conflict and duplication among: Headspace 2, Robots Meta, XML Sitemap, Professional Share and JetPack. Just for historical completeness the two plugins I must not upgrade are Robots Meta and Yoast’s old Google Analytics plugin, he appears to have sold it so now it is no longer free, but before that a feature was removed that I’m using to make my custom Google Analytics Dashboard work. Add2Any is another plugin I researched to replace Professional Share, but it too seems to also do dubious stuff. Given the bloat and secret tracking features some plugins add maybe coding directly into my theme is less sophisticated but a faster loading solution with less mysterious tracking code and pixels added to my blog. I ultimately decided on the simplest and fastest loading solution, less plugins and no social sharing buttons. It appears another WordPress upgrade is imminent. I finally removed Mint and before that discovered just how much cruft is being loaded in my header and footer by plugins. I removed HeadSpace2 and replaced it with Yoast SEO. The other two plugins I want to get rid of are JetPack as it is so bloated I only use a fraction of the features and I think Yoast SEO will replace many. And the other plugin that slows my blog way down in China is Disqus. I don’t have a big spam problem anymore but very few people leave comments and I want this website to run much faster. Migrating from Disqus back to WordPress native comments was also undertaken. I already have a number of support requests created. The Internet seems bigger and less friendlier every time I have to research technical problems. I’m committed to speeding up WordPress. I’m going to delete revisions, some of my posts have dozens. And I’m going to keep tweaking this theme including possibly hardcoding more of my own solutions because I’m tired of plugin woes. Lack of support is a perfectly good reason to move away from a plugin and one of the reasons “Pro” plugins exist. Even just better documentation and tutorials or best practices might be enough for me to solve my own problems. If you have any thoughts on setting up and optimizing a WordPress blog you can leave them below. This entry was originaly posted on November 1st, 2016 , it was last edited on February 24th, 2019 and is filed under: Information Technology and tagged: Plugin, SEO, Usability, Web Hosting, WordPress. It seems the text below the images for the related posts have gotten smaller. I spent a lot of time on YARPP and it appears they had something wrong in their HTML or CSS which is now working better, I also spent a lot of time editing old posts to have shorter better titles to try and benefit from YARPP. I’m not sure why I never became Internet Famous I seem to have done a lot of what I was told to do by experts, friends, teachers, counsellors, etc. but I am perhaps the least successful person I know but I’ve overcome a lot. I still am trying to be optimistic about my personal situation but the recent US Election is a harbinger of things to come I fear and suddenly busted WordPress plugins don’t seem so important. I must just cut out all distractions and study for 8 more months, I have no other path before me. I am 3-4 weeks behind my study schedule due to devoting time to fixing this blog, job interviews, and helping others. You’d think I’d learn my lesson, people just don’t reciprocate these days you really need to play your cards closer to your vest at all times and look out for number one, I have been far too honest and far too giving in my life, that is clearly not how you get ahead. Someone left a comment on this post in Chinese, not using Disqus, I approved it but it does not show up WTF? How did he do that.